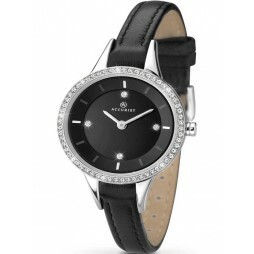 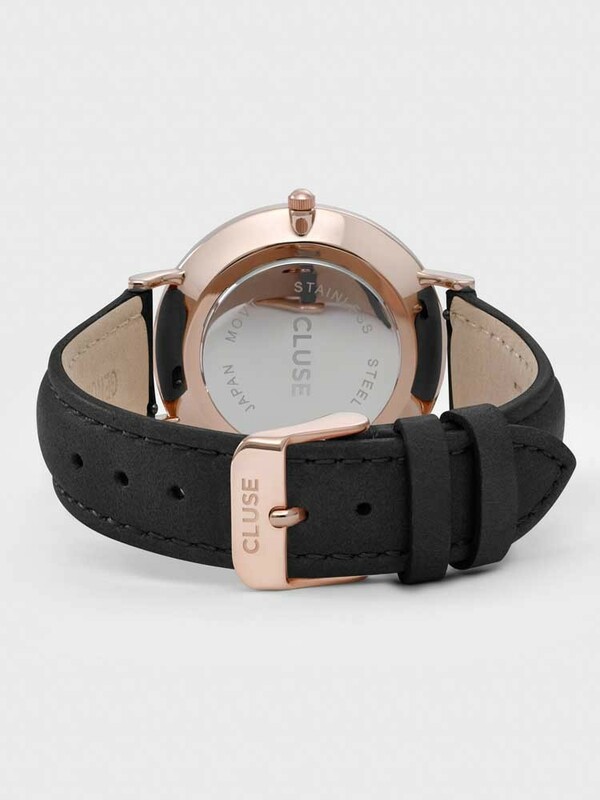 Introducing the stylish La Boheme strap watch from Cluse, ideal for elegant evening wear. 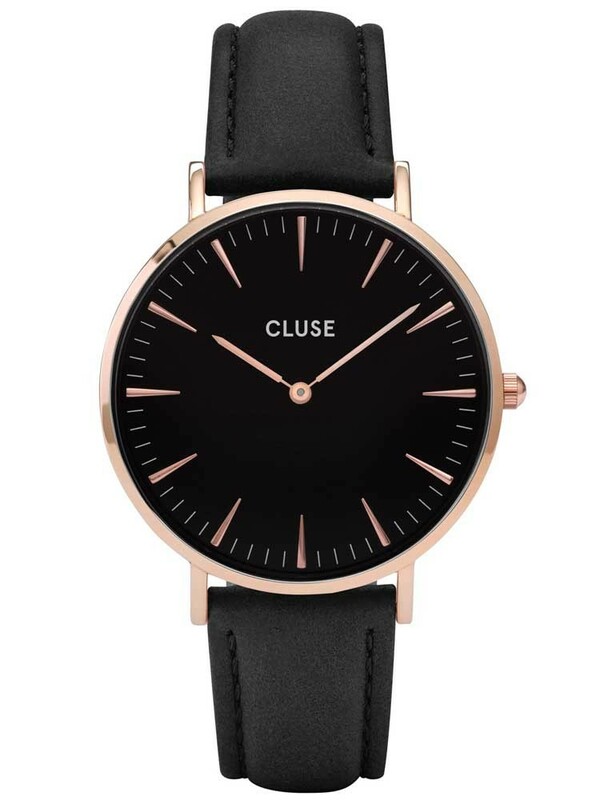 The attractive minimalist design features an ultraslim rose gold plated case, housing a round black dial with matching rose gold tone details for a feminine finish. 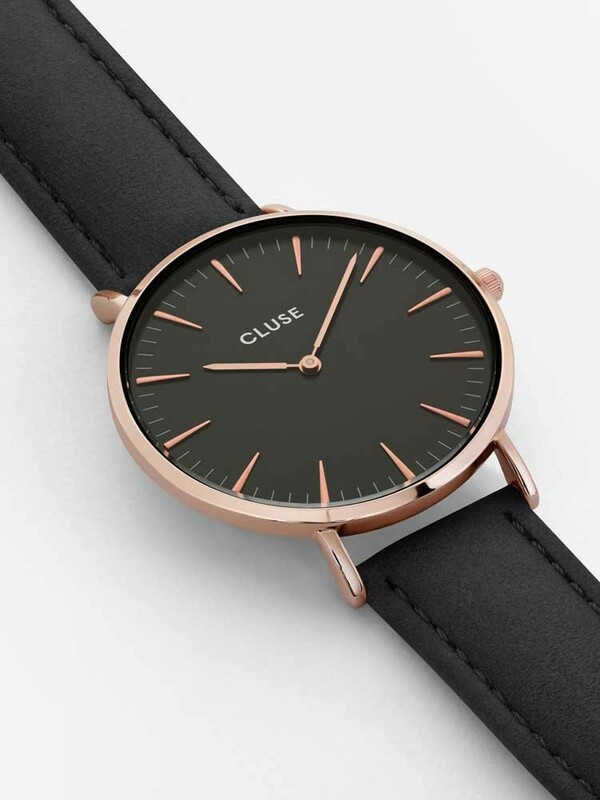 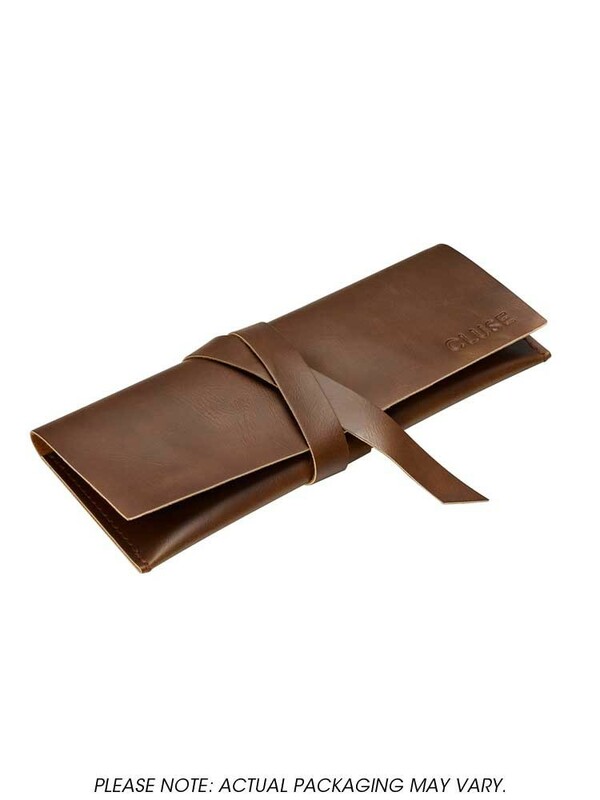 Complete with interchangeable black leather strap so you can customise your look to suit the occasion.